The RX-KIT1 from Cable Techniques is a convenient mix bus interface kit. It includes the RX Emergency interface, plus CT-MB-324 and RX-XLRR connector cables. 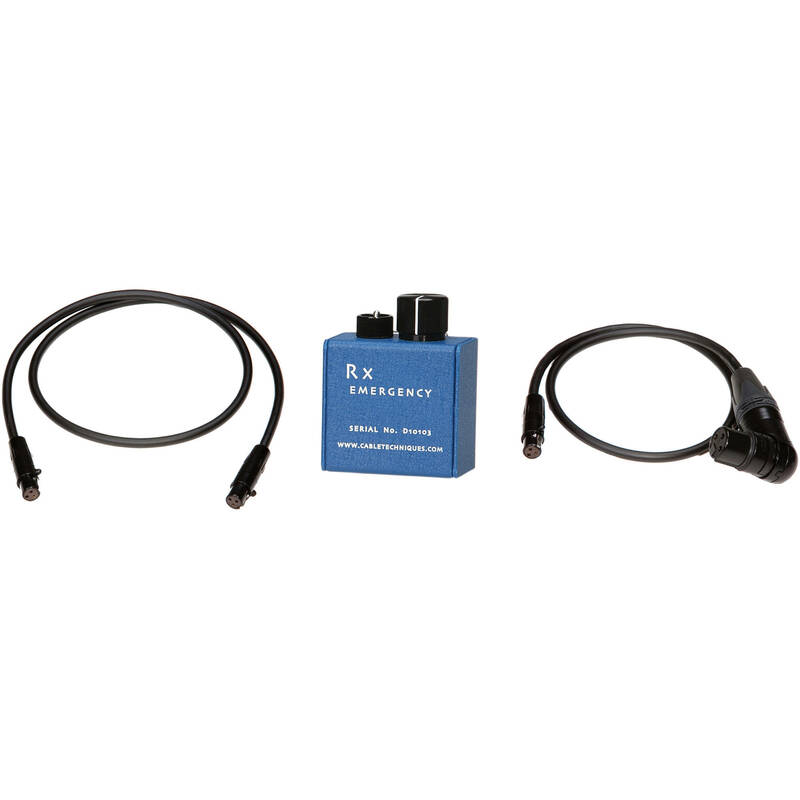 The RX Emergency is a compact modular interface that allows you to input an additional wireless signal into the Mix Bus of a Sound Devices mixer. It has standard TA3M 3-pin connectors for modular line-level I/O. All of the unit's connections are on the bottom for seamless bag integration. A potentiometer lets you adjust your wireless level, while a 3-way switch lets you assign the audio to left, right, or both in the stereo mix bus. The RX Emergency has a lightweight metal construction with a removable belt clip and a durable powder coat finish for professional field use. 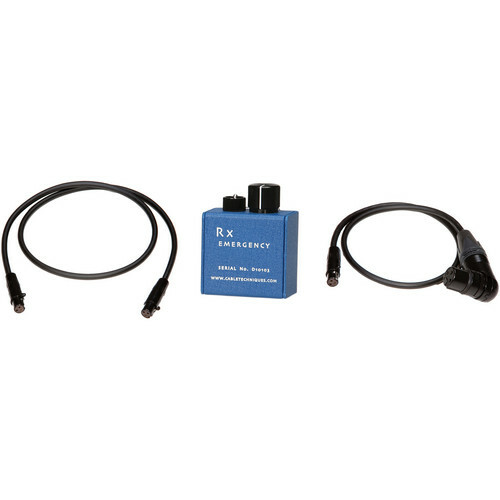 The included CT-MB-324 cable lets you connect the RX Emergency to your Sound Devices 302 or 442 field mixer, while the RX-XLRR cable provides compatibility with Lectrosonics and Zaxcom devices. Box Dimensions (LxWxH) 9.3 x 5.0 x 0.6"